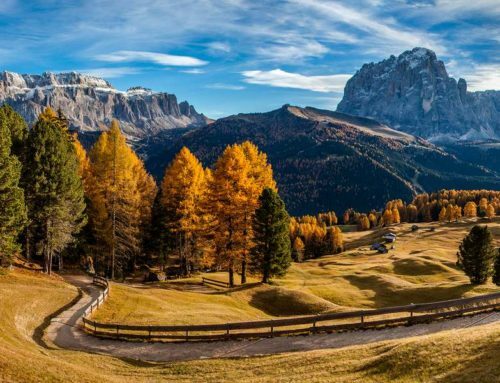 Val Gardena is the paradise for bike lovers, both for the more experienced, and for amateurs or tourists who want to visit and enjoy the landscapes in the nature. It is the only ‘Approved Bike Area‘ in South Tyrol, guaranteeing fantastic mountain-bike holidays. The arrival of the beautiful season brings with it the desire to be outdoors, breath fresh air and be in contact with nature. In the summer in particular, thanks to longer days, we take the opportunity to make trips, live new experiences and adventures in contact with nature. 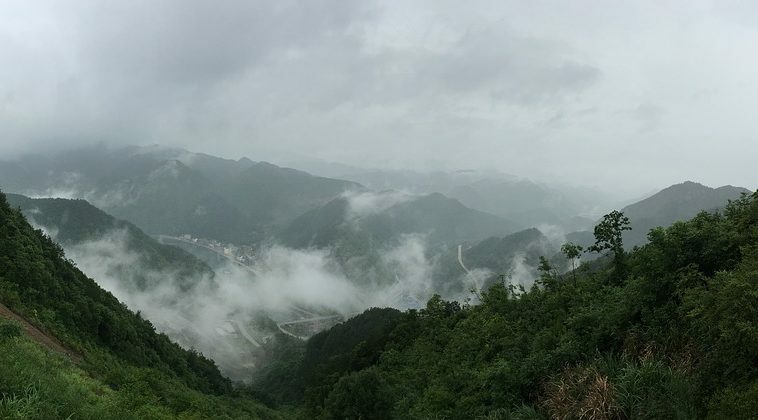 Biking is a great way to explore the area, moving fast and fresh , and thus having the opportunity to see much more than what you could see on foot, saving time and effort. The territory hosts routes and itineraries for every need: events for cyclists, tracks for racing bikes, mountain-bike excursions, ski lifts for bicycles, e-bikes (or electric bikes), bike parks, flowtrails, and many other initiatives and opportunities. As it is a very practiced sport, there are many facilities for the bike rental (in all the models you prefer), you can also stay in a bike-hotel to have all the conveniences and facilities for moving by bike, there are also centers that will be ready to provide you with all the information and useful tips for your cycling tours. 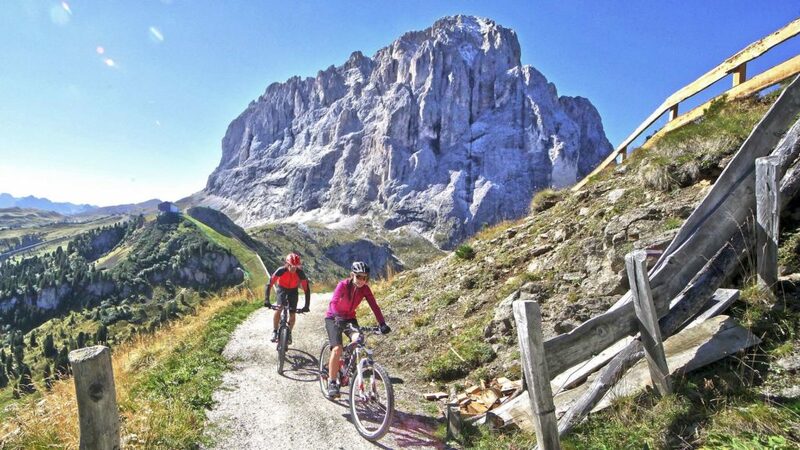 The mountain-bike is definitely the most suitable bicycle model to visit Val Gardena, especially for off-roads and to reach the most inaccessible and hidden points. Exploring the Dolomites by mountain bike has never been so exciting, comfortable and safe, through routes designed for cycling. 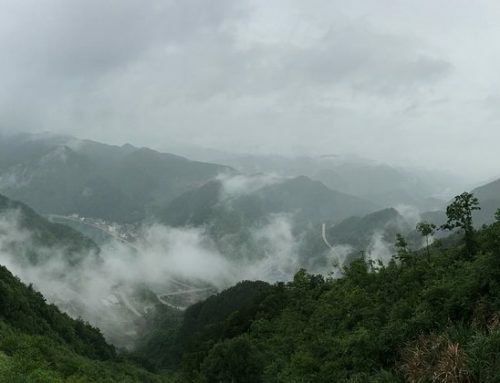 There are more than 30 routes, diversified as well as by panorama, by degree of difficulty, in one of the most varied and spectacular mountain scenery in the world. 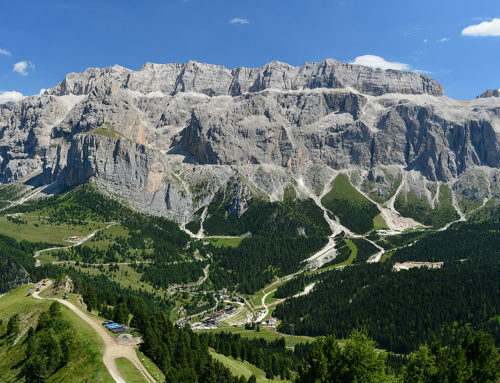 A recommended example is the Sellaronda MTB Tour, a guided excursion to discover the Sella massif. Mountain biking is an ecological and healthy sport that allows you to be in contact with nature and enjoy the mountain landscapes, experiencing group adventures or alone. For a correct and unforgettable experience, do not forget to always follow the paths, be careful and respect the environment. In Selva Val Gardena you will find the exciting ‘Freeride Ciampinoi‘ route, for a breathtaking experience in the Dolomites. The route is recommended for more experienced athletes, who are familiar with the basic techniques of mountain biking. If you are a mountain bike enthusiast and are looking for a unique and exciting experience, you have to try this 3.130 meters long route, where you will see amazing landscapes on your freeride bike. 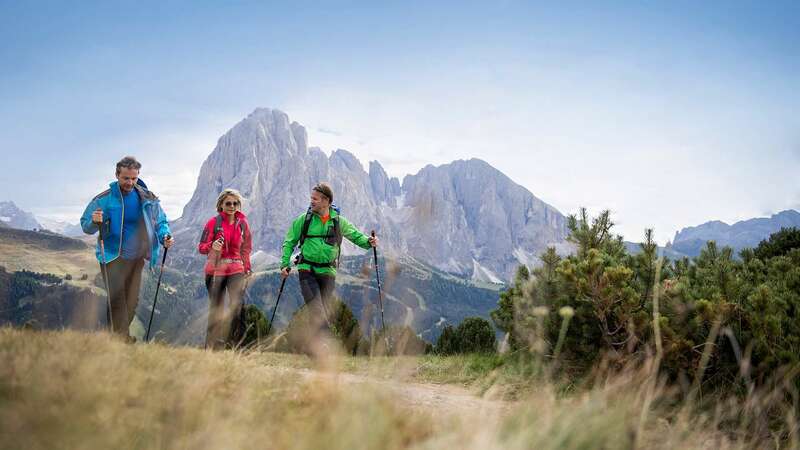 In the Val Gardena area there is no limit to adventures and sports: two flowtrails are here waiting for the most reckless bikers: ‘Cir Trail’ and ‘Flow Line‘. The Dantercepies cableway and the Cir chairlift make possible to reach the two flowtrails in an easy, practical and fast way, whenever you want. The trails are also perfect for beginners, who can train in becoming flow-ridden experts, also represent fun for children, who want to repeat the descent more and more. 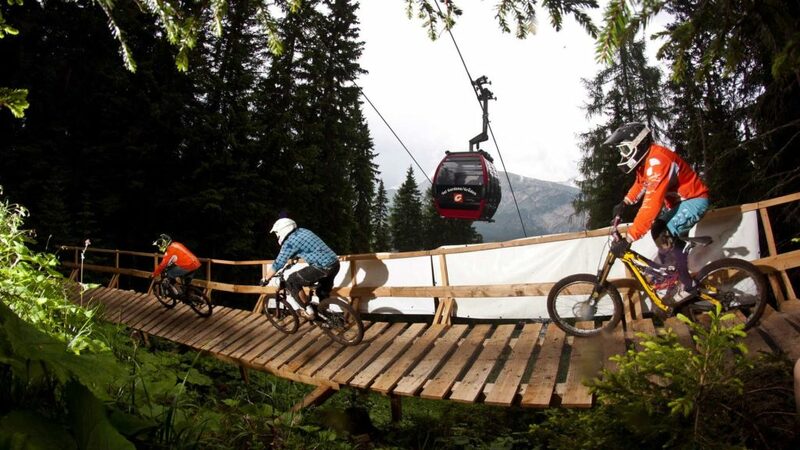 In the mountain bike paradise, bike parks can not be missing, to satisfy the fun needs of bike enthusiasts. There are parks of different needs and difficulties, they represent an opportunity to have fun with friends,family or to train alone. 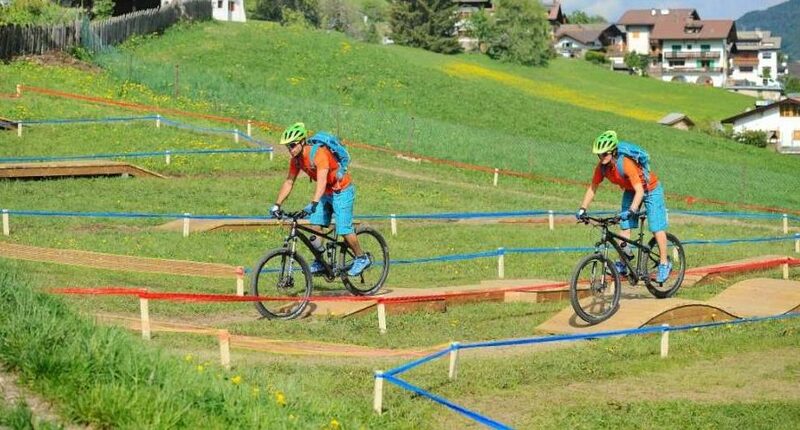 Mountain-bike Skill Park: a park with bike path in Ortisei, perfect for adults and children, experts and beginners, complete with jumps and specific routes for practicing alternative cycling. Great for improving mountain-bike jumping techniques. 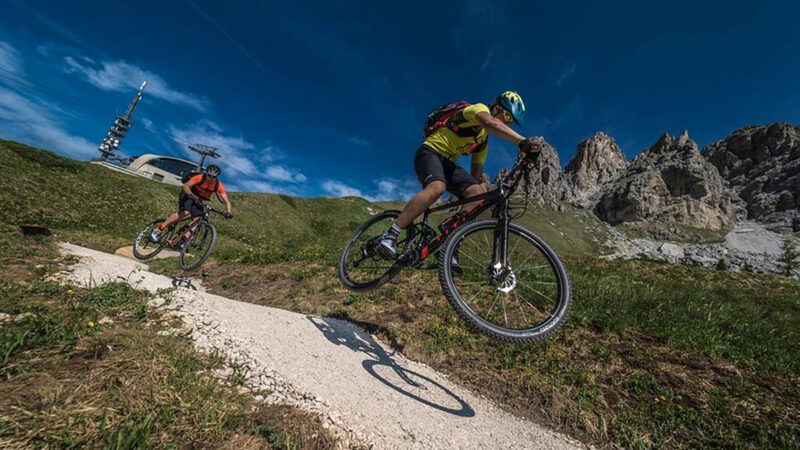 Bike Park Piz Seteur: is the news of 2018, with 3 levels of difficulty, suitable for the whole family and easily reachable by bike thanks to the new cableway, included in the sustainable mobility project. The electric bicycle is the perfect vehicle for those who love nature and respect it, without renouncing to explore it in comfort. Cycling during the holidays leads many advantages, such as keeping fit, relieving tension, fully appreciating nature, reaching places that are not accessible by car and above all respecting the environment. 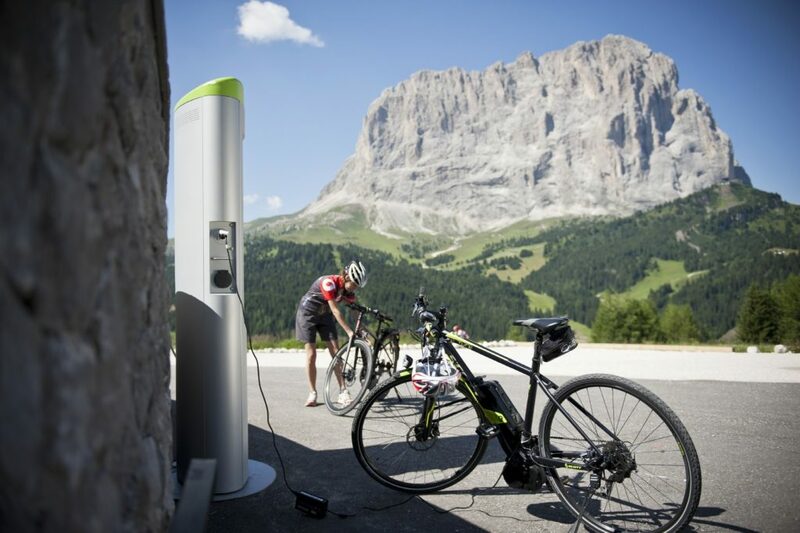 In Val Gardena you can find many facilities for renting e-bikes and as many specially designed routes. In ecological days, when there is a traffic stop, you can move freely, taking advantage of the cableways. 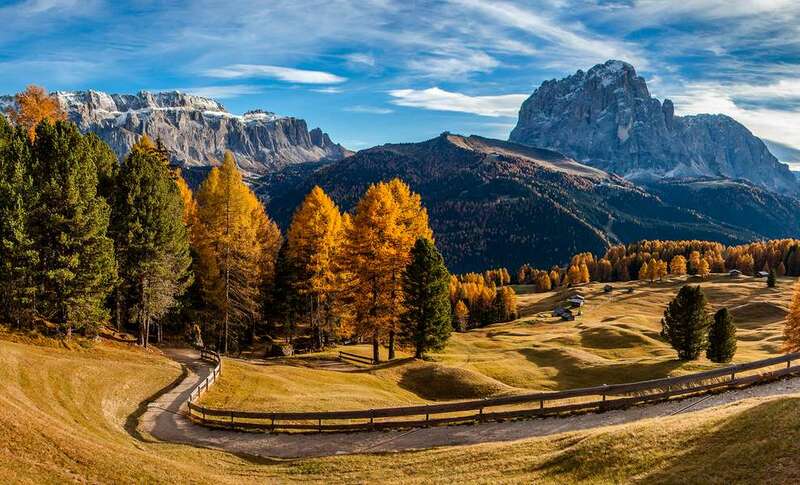 As the electric bike is a growing trend, here you will find many possibilities to practice this sport and appreciate it fully: panoramic and culinary tours of the Alpe di Siusi with e-bike, instructive courses for beginners, bike-tours of different levels of difficulty, and many other ideas. 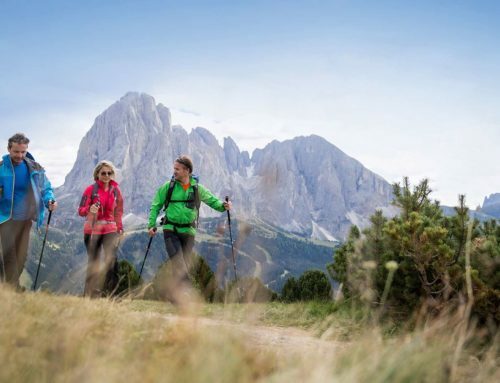 These are just some of the Val Gardena initiatives to make the Dolomites eco-sustainable, sensitizing citizens and tourists to the damage caused by pollution through, for example the ‘E-Sellaronda‘ project. 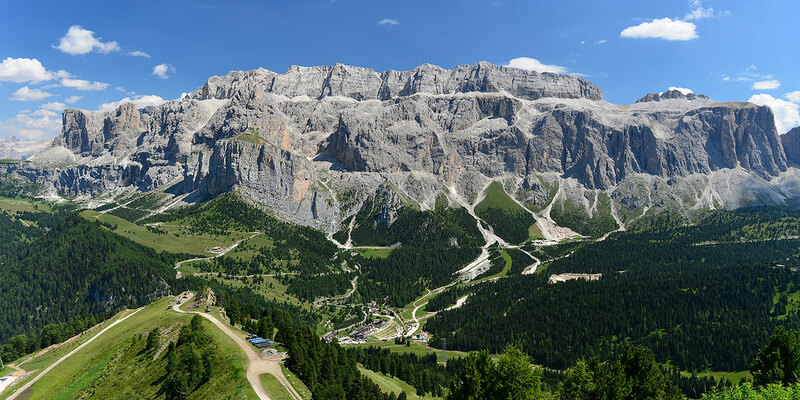 If you also want to preserve the air and the landscape of the Dolomites, park your car and start cycling by visiting Val Gardena through the wide choice of itineraries and excursions. 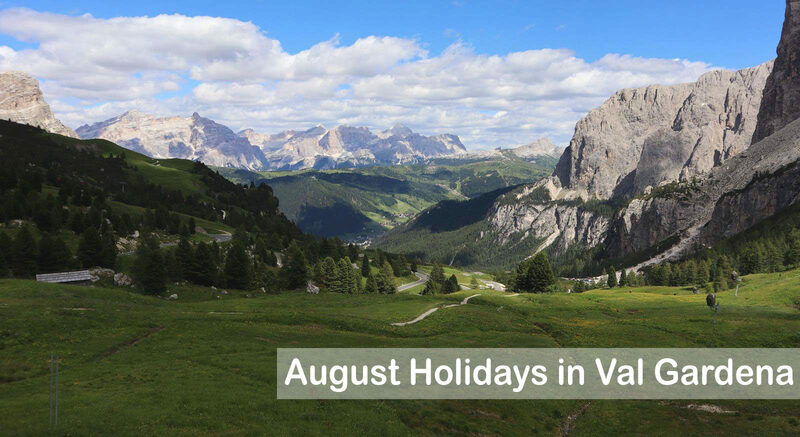 Bicycles, tours, cycling races, Hero bike festivals: if you have decided to take a holiday, a weekend or just a day riding a bike, here is a useful link to stay informed about the events not to be missed in Val Gardena. 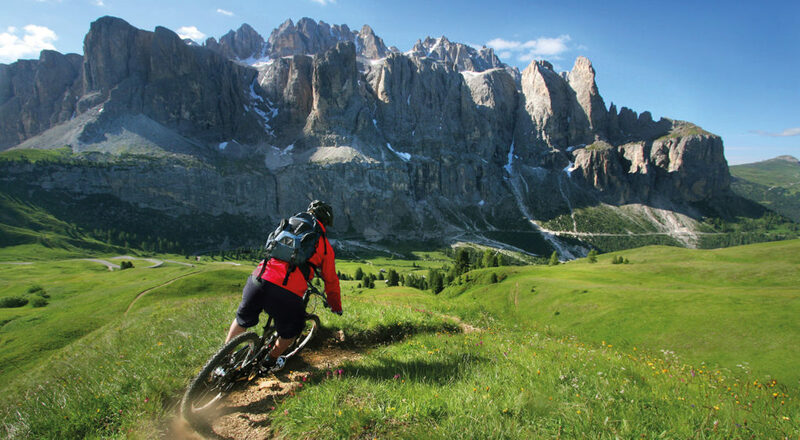 We leave you with an e-book complete with guides, itineraries and tips for mountain biking in Val Gardena. 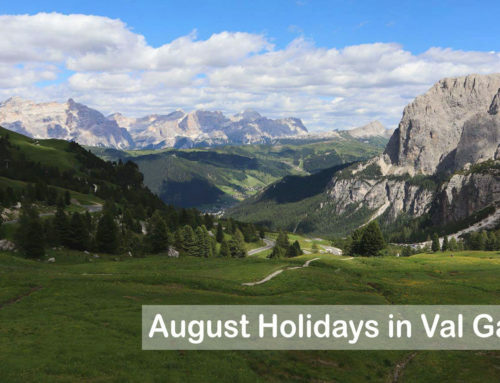 Do you want to spend your summer holidays in val gardena? 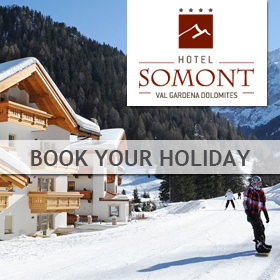 Hotel Somont will be glad to welcome you and provide you with all the necessary information for an unforgettable experience!